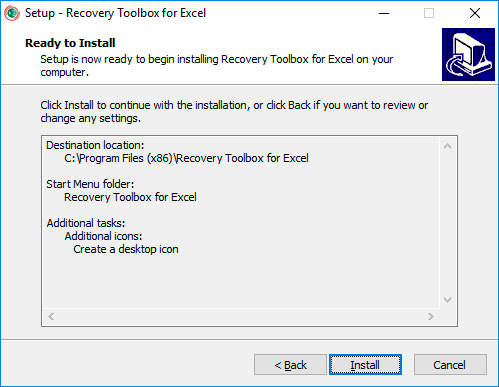 Select a downloaded installation file in Windows Explorer and press Enter or double click on it. Program will read and analyze a damaged file a several minutes. 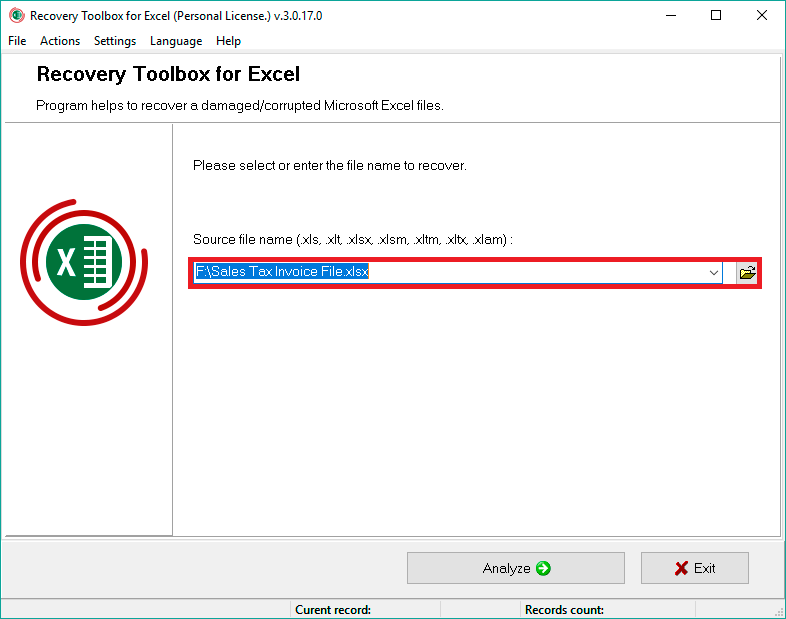 Later you can see a grid with a recovered cell from Excel file. 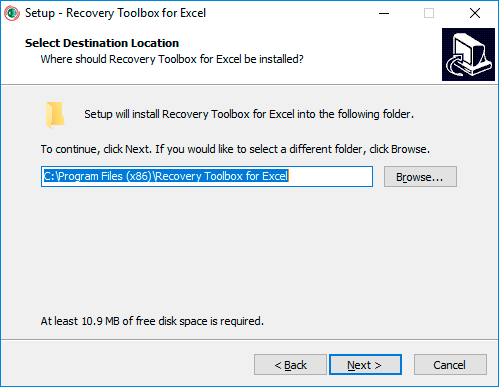 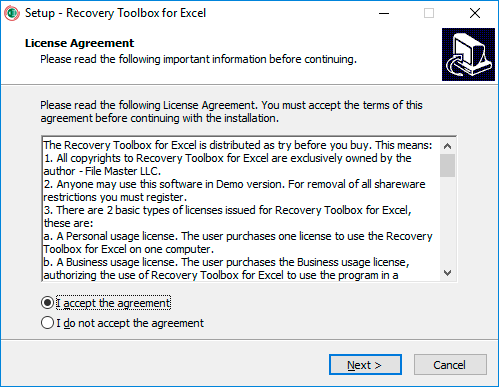 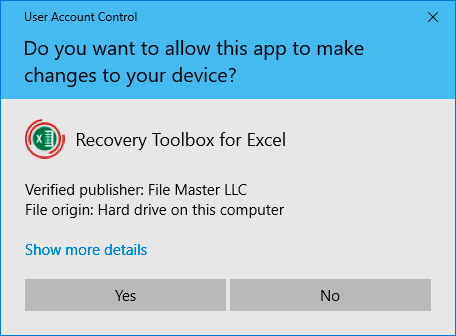 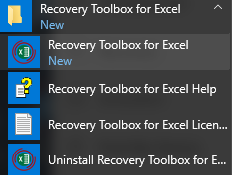 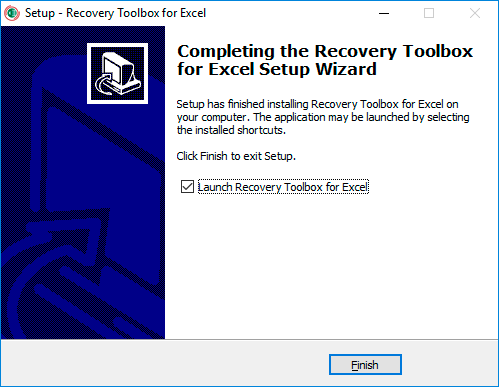 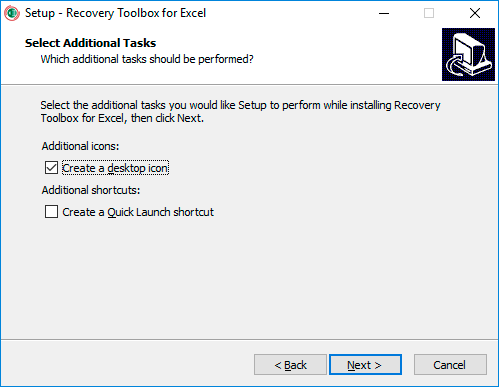 Please press the Start recovery button to export a recovered data into new Microsoft Excel file or new Microsoft Excel workbook directly.